Manju Firstlook Poster: The recent Gentleman Movie fame actor, Nani is ready to appear on the Big Screen with the movie of “Manju.” The Title and Fistlook poster of upcoming Tollywood movie of Nani have released by himself on his Twitter Account Today on July 30, 2016. The Poster has the Tagline as ” Stop Drinking… Start Loving…” Along with the Gramophone and he talks with the doll of the dog with the wine bottle. This New Upcoming film is based on the core of Love Story and it is directed by the Uyyala Jampala fame director, Mr. Virinchi Varma. It is a poetic lover story with the character of Aditya. 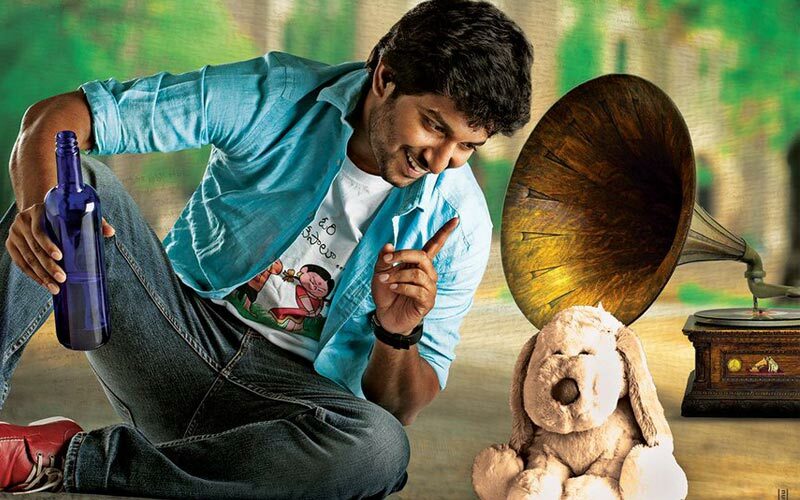 The Lead actor Nani will appear on the screen with the name of Aditya. Scroll down and get the More information about the movie, Manju. The Manju First Look Poster design was done by two people namely, Anil and Bhanu. The Director of this film has a good name from the movie of Uyyala Jampala. In that movie, the Bollywood serial “Sasural Simar Ka” fame actress Avika Gor acted with the male lead actor Raj Tarun. Manju Music has been handled by the Music composer, Gopi Sundar. The Production section has maintained by under the banner of Anandi Arts Creation and Keva Movies. Editing of Manju has been covered by Prawin Pudi. Stay tuned with us on WORLDHAB Facebook for More Updates of Tollywood.